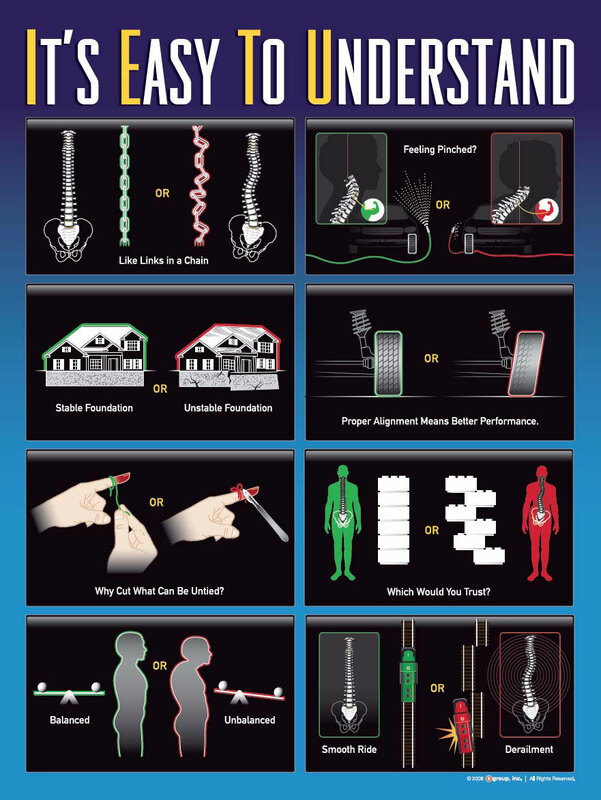 There are some major differences between the traditional chiropractic approach and our office. 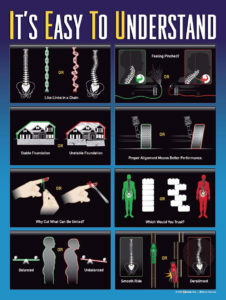 The easiest place to start is by explaining the goals of conventional chiropractic care. Traditional care has 3 major goals – 1) Temporary reduction in pain, 2) Reduced muscle spasm, and 3) Increased range of motion. While these are great goals, and traditional chiropractic is very good at achieving these goals; our goals are a little bit different. Align Chiropractic Clinic has made our focus Structural Chiropractic Correction. What we have found, through both experience and education, is the underlying structure is directly tied to function. When patients find our office, frequently via a referral from friends, family, or their doctor, it is because of some sort of “symptom” is what started the conversation – or what Structural Chiropractors refer to as Secondary Conditions. The people who refer to our office understand that the secondary condition is typically associated with a Structural Shift. Structural Chiropractic Correction focuses exclusively on the correction of that underlying cause – Structural Shifts. At our office this means addressing all components of a structural shift, including the changes to the bones, muscles, ligaments, tendons, discs, and nerves.